On Sunday 3rd June 2018 the North Cornwall clan made their way to the Pendeen Car Boot Sale in Stratton, Bude. Surf Club Mum Yvonne, Volunteers Sarah and Emma (don’t forget Willow the dog!) along with North Cornwall Coordinator, Svenya, sold a grand total of £114.30 worth of donations on the day. This will contribute towards our Surf Therapy courses and Surf Clubs across the UK. A massive shout out to all three volunteers who gave their Sunday to help make the event a success. 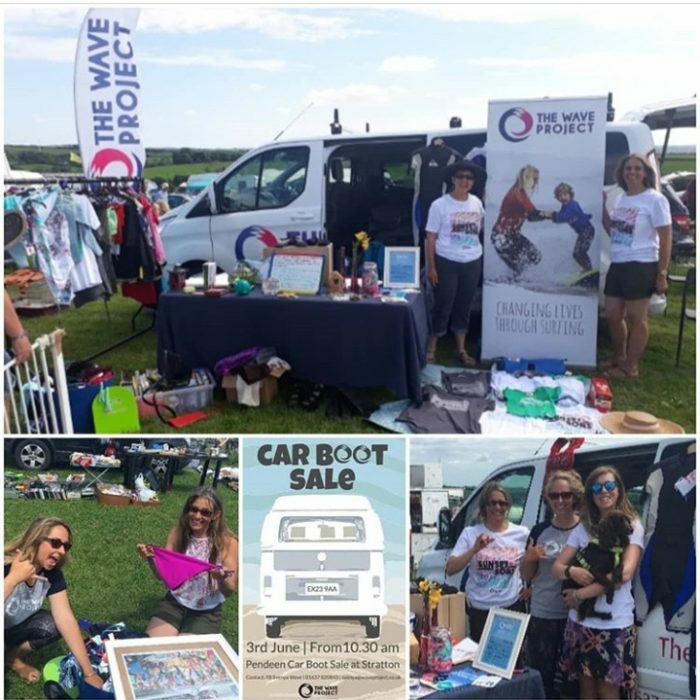 A huge thank you to Chris, host of the event, for allocating a free charity space to the Wave Project as well as Jackie, Julie, Dave and Surf Dome for their donations.